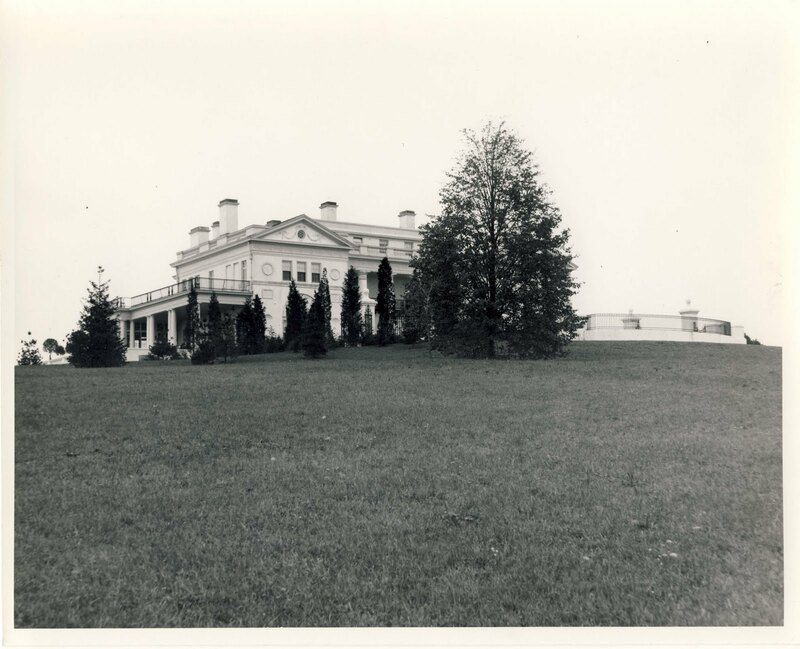 A shot of 'Overland House', the George Rose estate designed by Hoppin & Koen c. 1910 in Old Westbury. Rose was the son of J. Benson Rose, founder and first president of Royal Baking Powder Co. The house was demolished c. 1950. Click HERE for more on 'Overland House'. Picture courtesy of SPLIA. another spectacular 40 year old house bulldozed. it would be nice to find some more shots of this one esp. interiors. this is another governors mansion style. very very pretentious - i like it!! all those arches and columns - an upkeep nightmare but oh, so impressive. the wall and fence to the right is intriguing too.